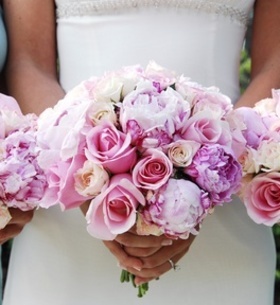 Peonies and roses in a beautiful hand-tied bouquet. Description:Peonies and 15 roses in pink and ivory tones, hand-tied with a beautiful ribbon. Colours can be changed.